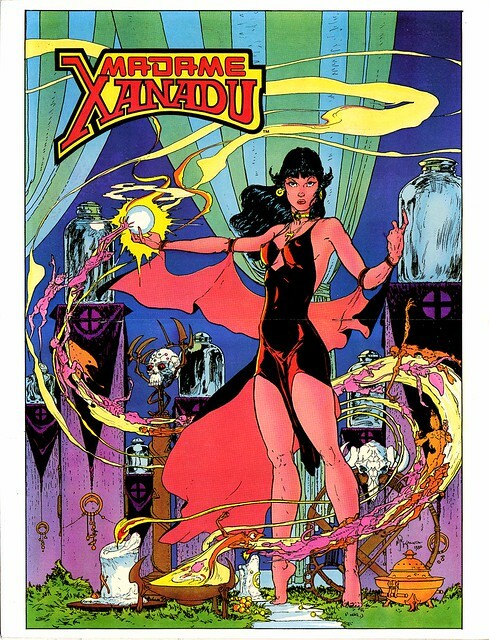 This nifty little poster was a full color glossy insert to Madame Xanadu #1 from 1981. This special one-shot gave Michael Kaluta's character the star treatment in a story by Steve Englehart and Marshall Rogers. I believe this special was aimed at the direct market only. The pin-up makes Xanadu look like a Doctor Strange type character. Here is Kaluta's cover to the special, sans any logos or letters, from the back cover. 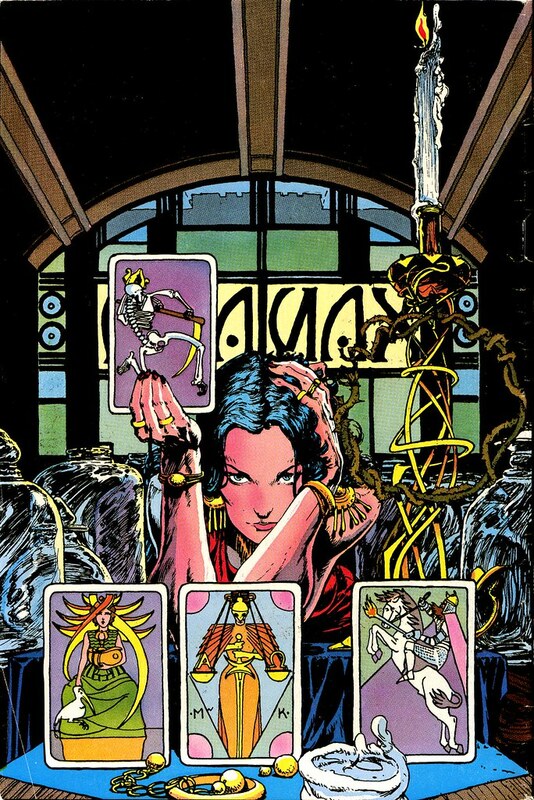 Englehart and Rogers had more Madame Xanadu stories in the pipeline, but these morphed into the character Scorpio Rose for Eclipse Comics--see They Stole Frazier's Brain for more details. Nuff Said!